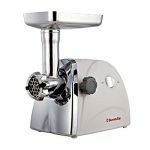 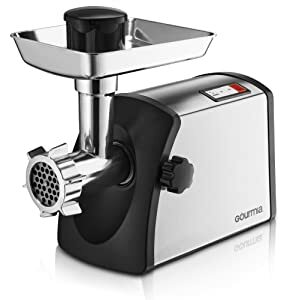 What guides you in selecting a specific meat grinder from the rest? 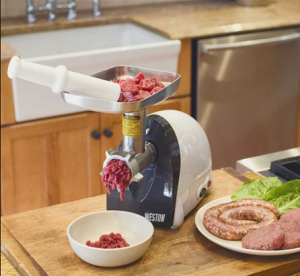 Is it the durability, included sausage attachments and cutting plates or motor rating? 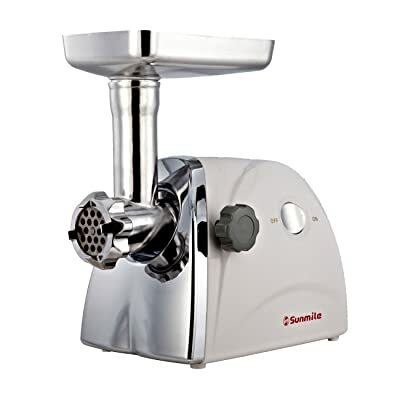 There are numerous feature highlights to check when purchasing a meat grinder. 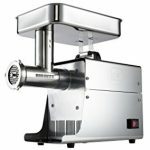 Helping you select a grinder that can serve you best is where we come in. 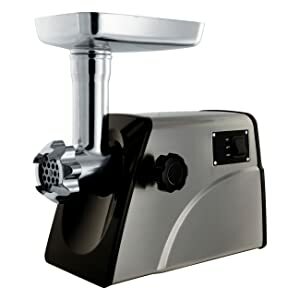 An electrical meat grinder will help you to control the size and type of meat in your diet. 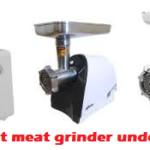 You can decide to grind fine, coarse or medium meat depending on your cooking method or needs. 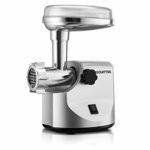 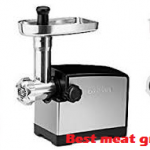 Additionally, meat grinders help you to prepare professional sausages at the comfort of your home. With a meat grinder, you can explore your creativity in various meals by adding various spices during processing. 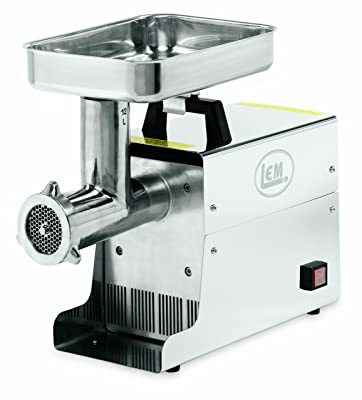 For professional grinding LEM W779A is the perfect choice. 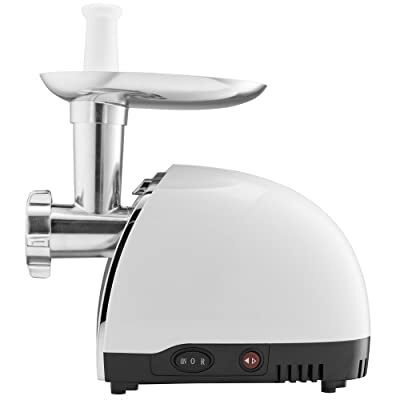 This is a machine that is within the budget of any person and can suit specific needs of the user. 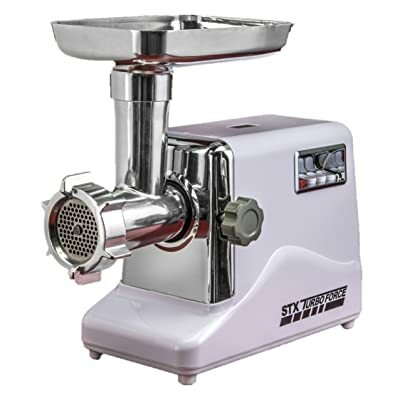 This meat grinder has become popular because of its speed and quality results. 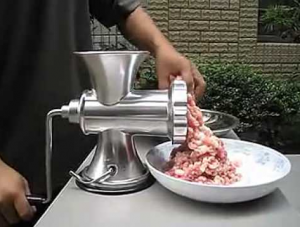 It enables you to grind up to seven pounds of meat a minute. 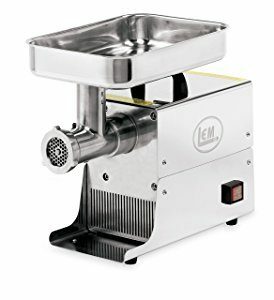 this is a perfect choice if the user don’t want to waste time when processing the meat for sausage food. 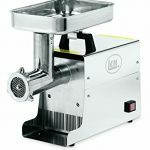 The grinder comes with three different stuffing tubes and two stainless steel plates for the custom meat processing. 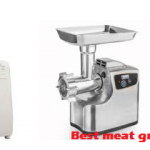 The user can use the steel cutting plates in processing the meat for a stew, soup, sausages and many others. 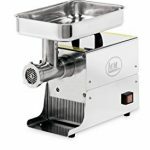 Some of the components the machine comes with is the two rollers with a 26 stainless steel blades that makes a tender sneak out even if the meat is tough. The grinding system of the grinder bites a large share of the meat thanks to big bite technology.